Another species I have been denied the fortune of seeing in the celluose, BUT: I grew some seeds that our colleague Victor Steinmann sent, and voila! Crapshoots pay on occasion. 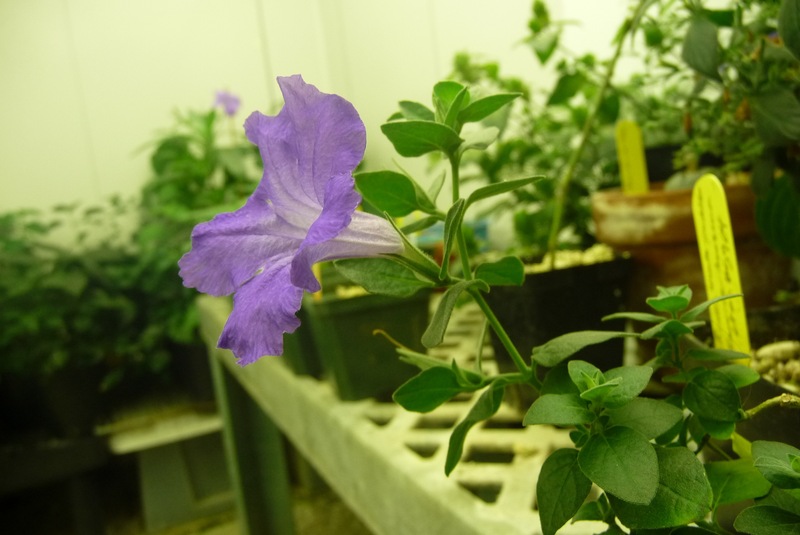 I have some preliminary data that suggests Ruellia hirsuto-glanulosa may be sister to the yellow-flowered Chiropterophila clade. Now that would be something… and…. it would allow me to pinpoint with some accuracy, the evolutionary loss of floral pigmentation in this lineage of plants. Tremendous thanks to Tom for clarifying aspects of the biology of this species in his extensive work on Mexican Acanthaceae.